BadLand Games has announced that Pixel Noir is heading to Nintendo Switch and will be released at the same time as the PS4, XBox One, and PC versions. The Nintendo Switch version will feature every element introduced on PC, Xbox One and PS4 and will include Spanish, French and German translations at launch. Update: BadLand Games confirmed to Handheld Players that Pixel Noir will release on the PS Vita at the same time as the other versions announced. 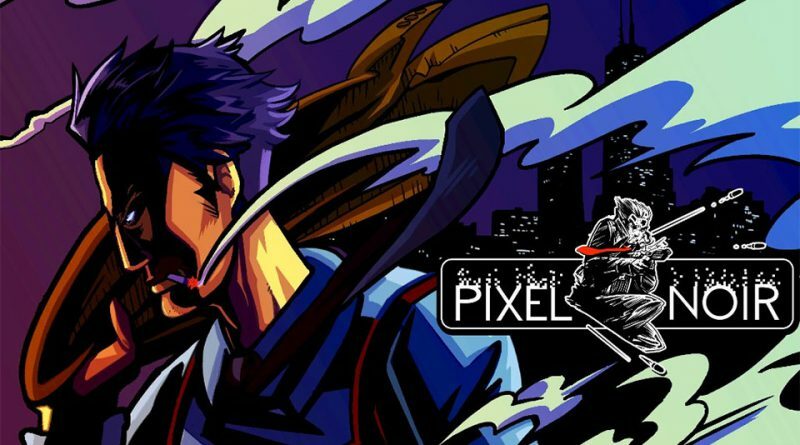 Developed by SWDTech Games, Pixel Noir puts you in the shoes of a cop-turned-private-eye after a 10-year prison stint. An investigation gone awry at an abandoned hospital has left your partner dead, the hospital in ashes, and you behind bars for a crime you didn’t commit. Chasing down lost pets and beating the scum of Pinnacle City is just enough to stir the voices and visions that plague you every night… With your sanity at stake, how can you afford not to take the opportunity to clear your name?